Hello again everyone....gosh, what a busy week it's been!!! I created a travel page from Ireland. 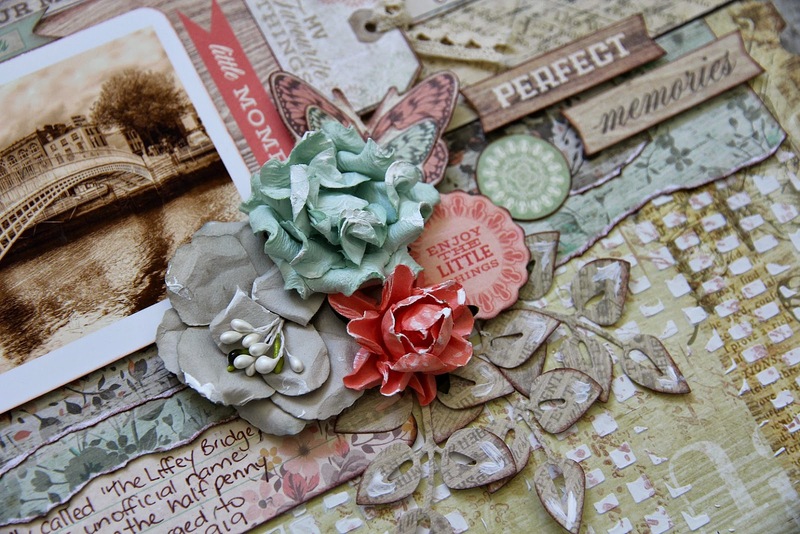 I've used the Kaisercraft Quarters template on my background with some modelling paste, and also some stamping with KC script stamp....and I've then layered up different papers & a heap of Collectables pieces, plus some stickers in there as well. And of course...some Paper Blooms - I absolutely love my paper blooms <3 and some diecut leaves to help finish off the cluster. 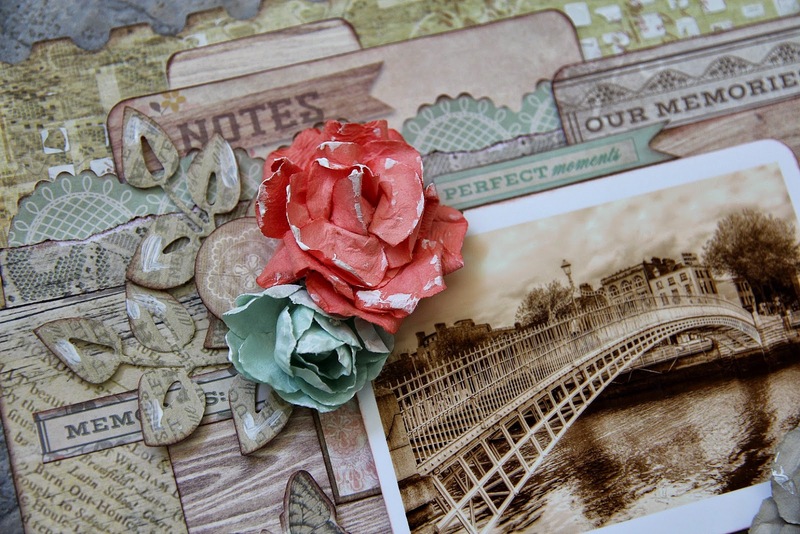 feel of these rustic papers. 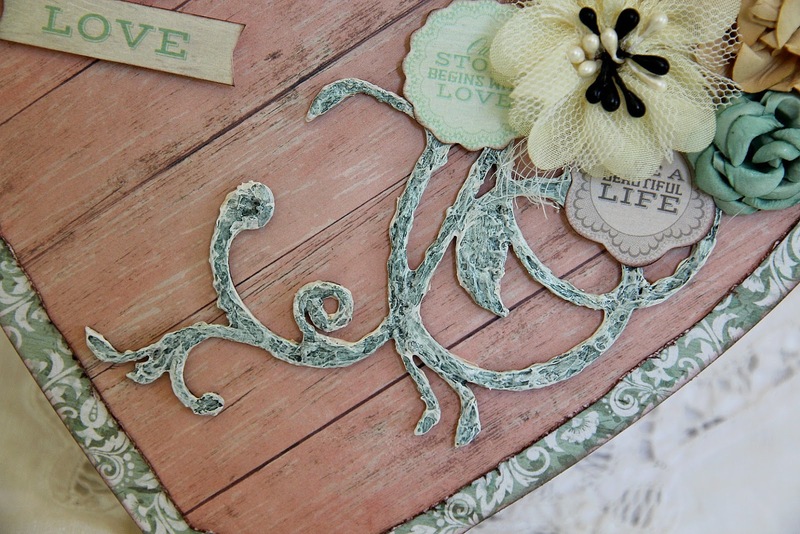 Here's a close up of the stencil work & stamping on the background. 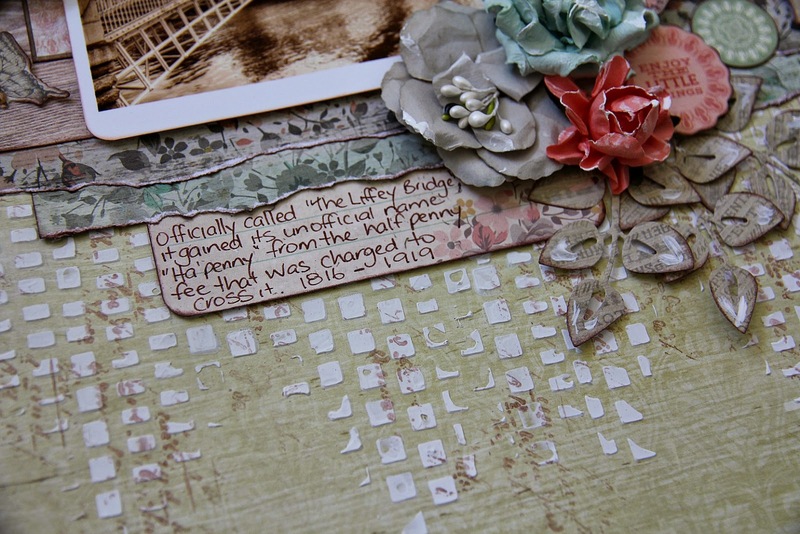 And a close up of the main area of the page. I've used 2 layers of paper, with the top layer cut slightly smaller than the bottom, so that it created a bit of a border around the outside of the heart. I've also distressed & inked the edges of the inner heart to help give it a bit more definition. 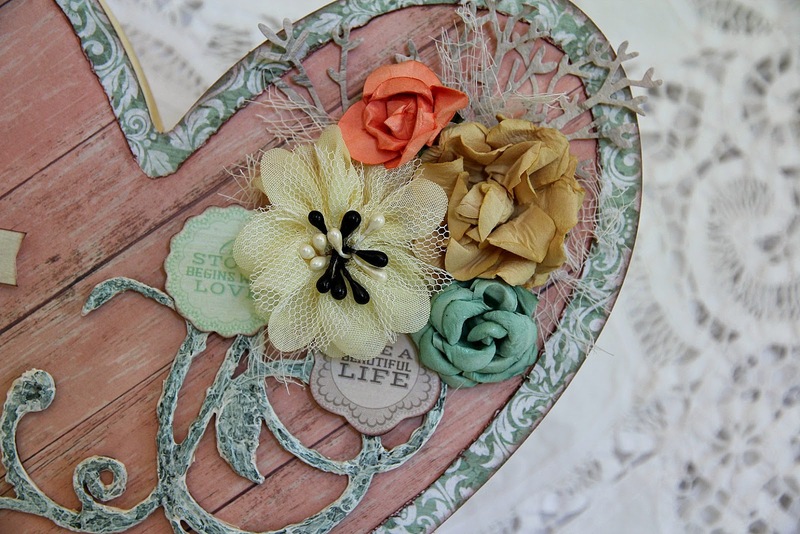 I created a cluster made up of 3 different coloured paper blooms, some stickers & diecuts...plus a really OLD KC wooden flourish that I found buried in my stash...lol! Also added some muslin & some die-cut leaves. 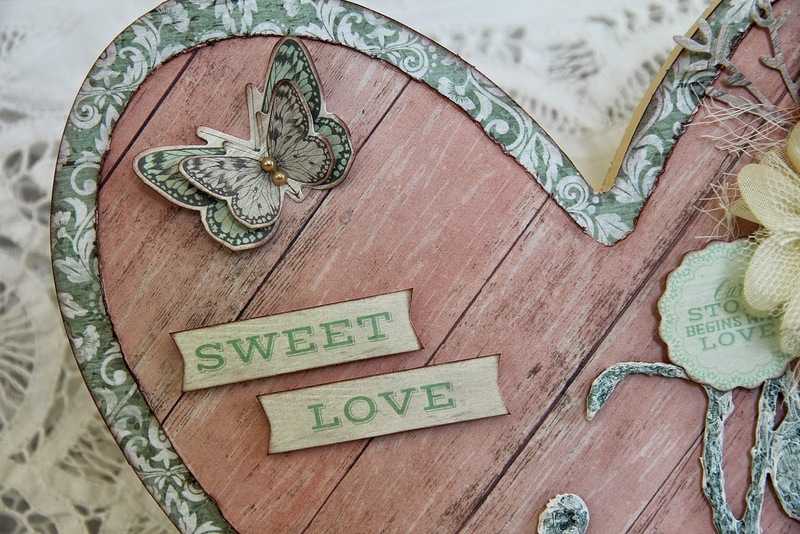 I've added a bit of texture to the wooden flourish & then coloured it with glimmermist. 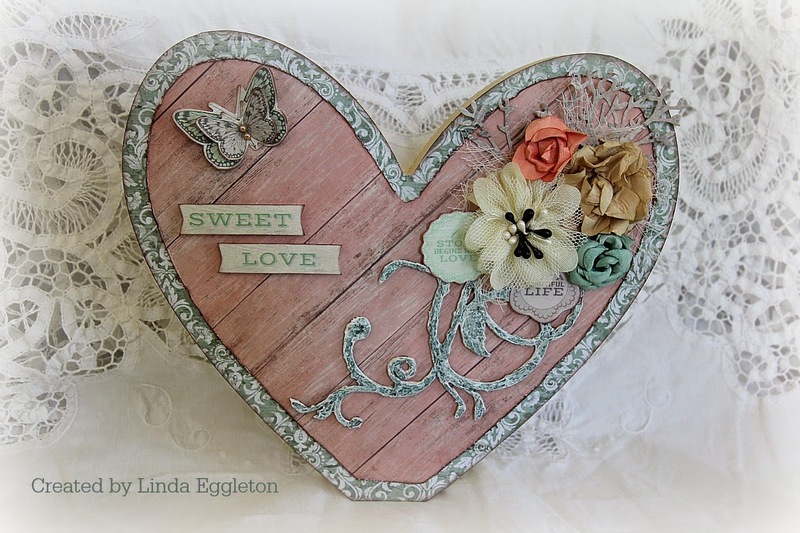 And here is a few of the Collectables pieces....layered butterflies & some cute little banners. I hope you like what I've created & have been inspired by this beautiful collection. 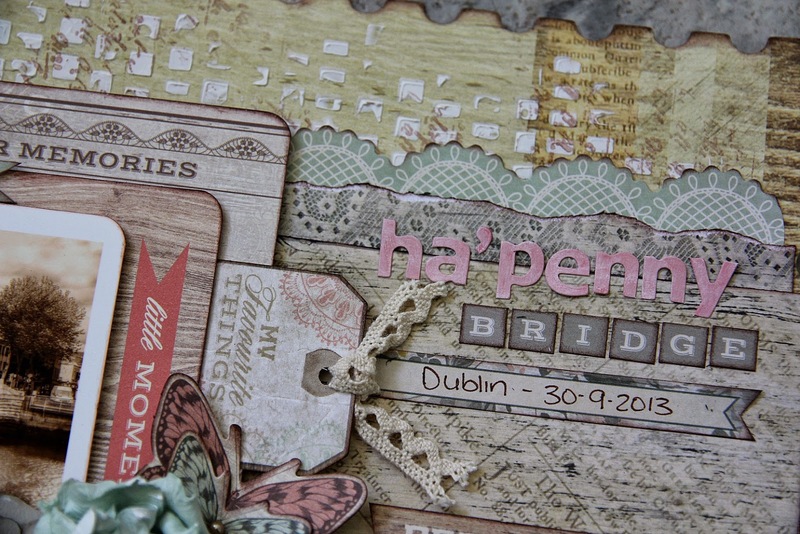 To see what the other DT ladies created, pop on over to the Kaisercraft blog HERE. Oh I just love that layout. 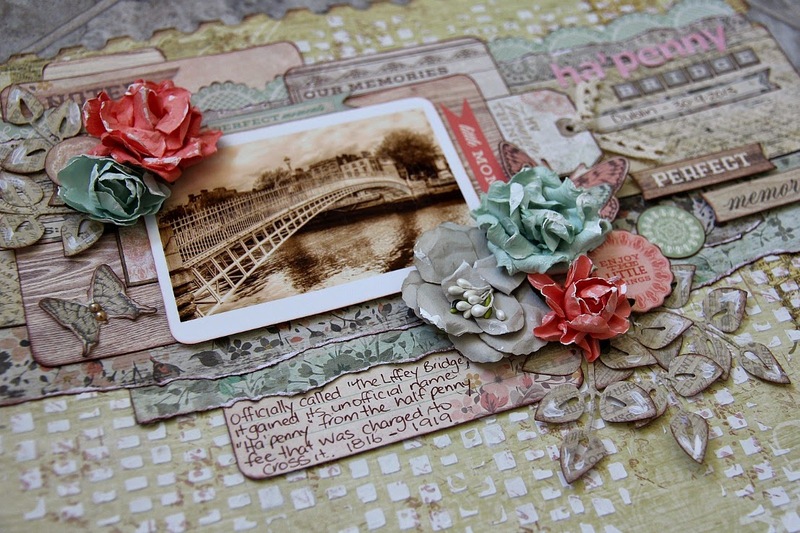 So many layers, little details and texture. Love the pic in sepia. Sweet little heart too. Love the wooden flourish. Lovely. 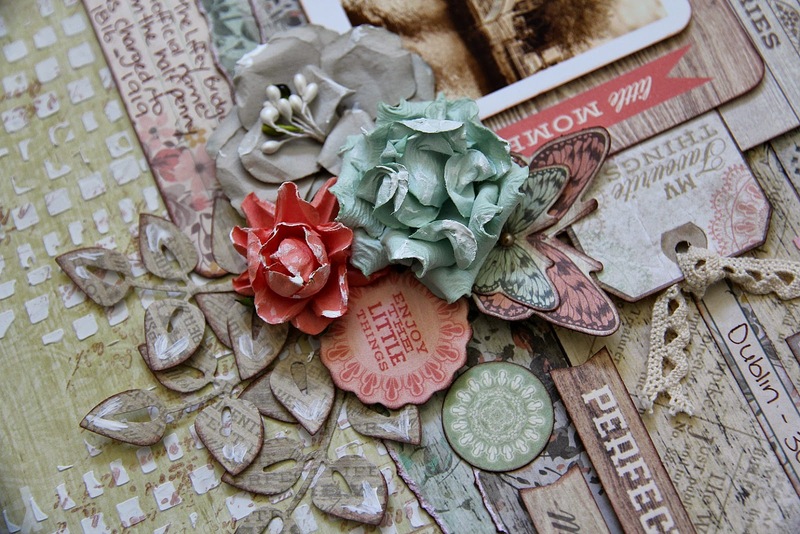 These look wonderful.. you use the papers so well.. what is the leaf die on your layout.. looks lovely! 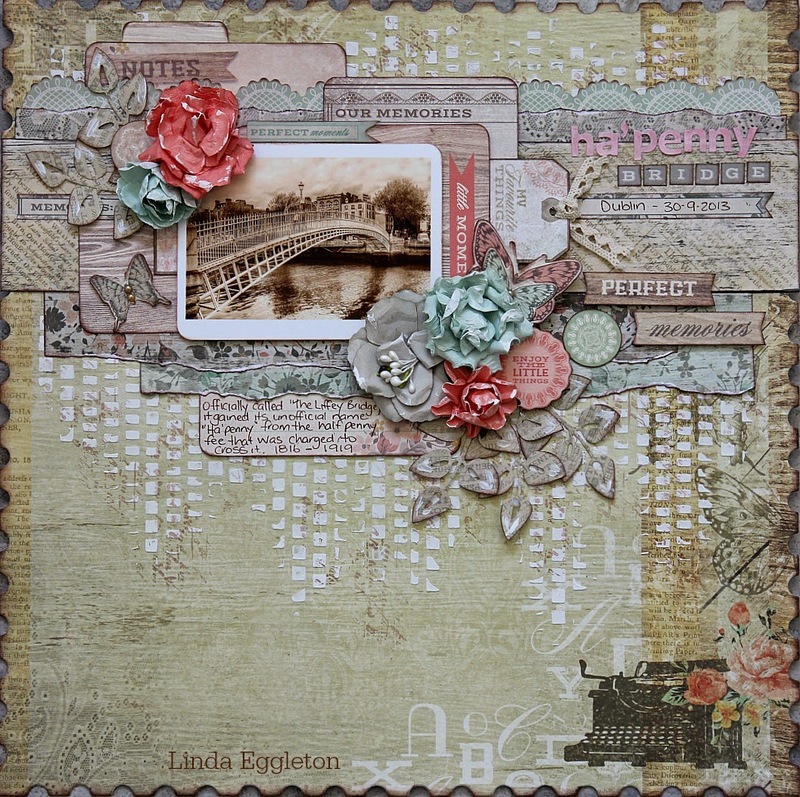 Wow Wow Wow Linda....this layout is absolutely stunning...totally in love with everything about this. Awesome photo and all the layers. Spectacular! !